It’s that fun time of year, a time full of hopes, dreams, and possibilities. Yes, I’m talking about 2012/2013 Season Announcement, um, season. Lisa Hirsch has been tracking rumors and reality for a few weeks on her blog, Iron Tongue of Midnight; up until now, it’s been limited to opera companies. 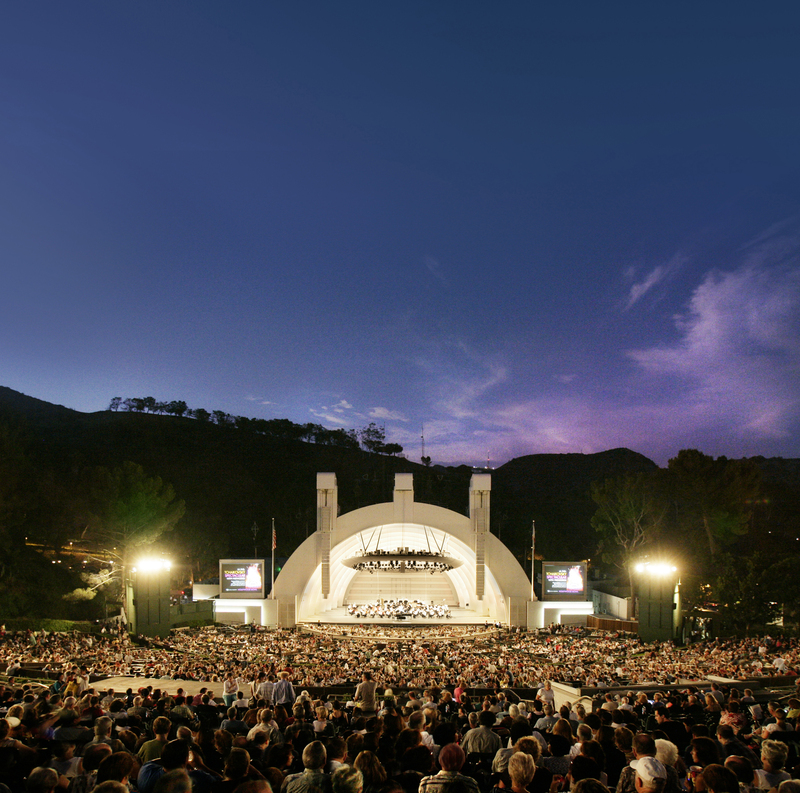 The Los Angeles Philharmonic Association became the first major non-opera entity to make an announcement — not the LA Phil’s 2012/2013 Winter Season (to be announced Feb 7th), but rather the 2012 Hollywood Bowl Summer Season. Their press release can be found HERE; the chronological listing of events is HERE. Bob Thomas gives his $.02 on his blog, Class Act. Overall, it’s a decent mix of the predictable and the interesting. On the classical music front, you’ve got some of the usual big-name guests playing warhorses (Bell/Mendelssohn, Ma/Schumann, Wang/Tchaikovsky, Bronfman/Brahms, Perlman/Tchaikovsky), but you also have some nice attempts to break up the routine (best example: Beethoven’s 9th matched with contemporary works by Anna Clyne, Anne LeBaron, and Cindy McTee). The two weeks with Gustavo Dudamel are bound to fill up the Bowl. They aren’t artistically innovative or probing, but they’ll be entertaining, especially if you’re a fan of popular Latin American music (for you who are not, Juan Luis Guerra and Rubén Blades are the real deal). The one compelling classical music night: a concert of Estevez, Ginastera, and Copland. The concert where Placido Domingo joins Mr. Dudamel is a Pension Benefit Concert. They haven’t listed the program yet, but whatever it turns out to be, I’m betting it’s the kind of show that’ll end up on a PBS “Great Performances” broadcast. There are actually two Pension Benefit Concerts (the second one is a performance Mr. Dudamel conducting Rigoletto). That strikes me as atypical. It’s good to see that Stéphane Denève will once again be on the podium. His absence during the current LA Phil 2011/2012 Winter Season has been disappointing. The two concerts with Nicholas McGegan are both compelling, though I favor the all-Haydn night a bit over the all-Mozart night, especially with the wonderful Alison Balsom as trumpet soloist..
Usually there are a few debuts by young and/or up-and-coming conductors at the Bowl. This year, there is only one: Krzysztof Urbanski, Indianapolis Symphony Music Director, gets only one night to make a good impression, and for it he chose a fairly meaty program which includes Prokofiev Piano Concerto no. 1 (Denis Matsuev, soloist, who is also doing solo piano selections from Stravinsky’s Petrushka) and the Shostakovich 10th Symphony. There’s a lot of Gershwin, Bernstein, and Copland, even for the Bowl. Zev Yaraslovsky as the narrator for A Lincoln Portrait? Really??!!! Sure, the guy’s been a great supporter of the Bowl over the years, but there’s gotta be a different way to honor him than to put him on stage. The Producers — that should be fun. Can’t wait to see who the cast will be. Igudsmen & Joo — they should be fun. After previous seasons included concerts directed towards Chinese, Japanese, and Korean audiences, Filipinos finally get a little love with “A Celebration of Global Filipino Music” hosted by apl.de.ap. No news yet on who’ll be joining the famed Black Eyed Pea, but I’m guessing that it’ll include at least one of the following: Lea Selonga, the new guy from Journey, and a random former American Idol contestant or two. Just please don’t let Manny Pacquiao sing. Tags: Hollywood Bowl, Season Announcements 2012/2013. Bookmark the permalink. I’m not betting that the Dudamel concerts “fill up the Bowl” this summer. In fact, last summer’s attendance was quite a bit below the year before. The attendance on July 12, 2011 was 9,513 and 9.207 showed up on July 14 (both programs were the same, including the Mussorgsky/Ravel Pictures at an Exhibition and pianist Lang Lang as soloist in Prokofiev’s third piano concerto). During the second week, the attendance was 9,236 for the all-Mozart concert Tuesday and 8,209 on Thursday for an eclectic program. To cite one comparison, the first of two concerts that Dudamel conducted the summer before last (which, admittedly, featured Gershwin’s Rhapsody in Blue) drew 13,907. 1) I think having the repeat dates has a negative effect on individual attendance. Last year, if you wanted to see Gustavo Dudamel & Lang Lang, you had your pick of two dates, so the drawing power was spread out over two days. This year, if you want to see Yo-Yo Ma and Mr. Dudamel, you’ve got one shot. Ditto for Mr. Dudamel & Yuja Wang. 2) The same can be said for the America & Americans concerts (one shot to see Juan Luis Guerra or Ruben Blades), but more than that, those concerts will obviously draw people who wouldn’t normally attend a Bowl concert, and I think those people outnumber those who choose not to attend Tuesday night because Beethoven isn’t on the bill. Last year, when Rodrigo y Gabriela played at the Bowl, the Saturday show was packed and I heard the Friday show was nearly so. It’ll be harder to draw a capacity crowd on a weeknight, but I’m guessing all of the concerts he conducts will be north of 10k, with most of them being in the 13k+ range. It’ll be interesting to see who ends up being closer to reality.